Venom is the sentient alien from Spiderman comic series, with a liquid-like plasma form. Venom is a parasite that needs a host human to survive and will eventually try and take full control of that person. Venom tried to bond with Spider Man to create a super villain, but was rejected after Spidey learned of his evil intentions. So Venom moved onto the next host to further his reign as an arch-enemy of Spiderman. 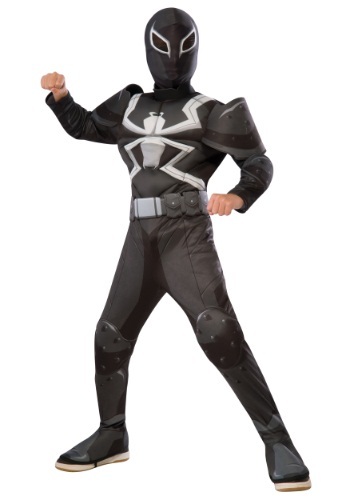 Venom costumes are available in sizes to fit adults and children. Shape shift into Venom’s form when he was trying to bond with Peter Parker as Spiderman. 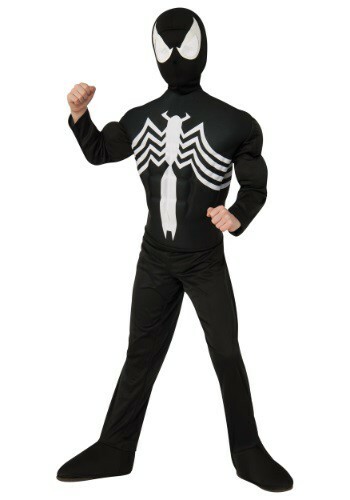 Each Venom costume comes with a form-fitting black bodysuit with white spider webbing as an embellishment. The Venom costume has built in foam “muscles” so you don’t have to hit the gym. 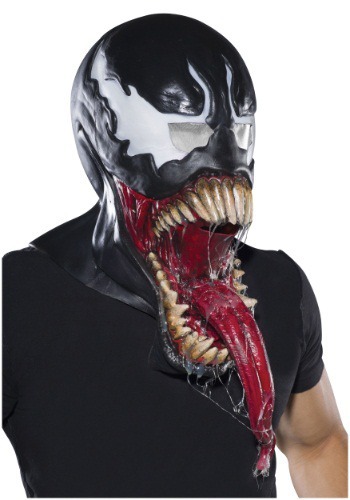 A Venom-inspired black Spider-Man mask is provided conceal your true identity. Add Venom costume gloves and boot covers for the complete bad guy look.